The home-designed labels needed to have an international appeal and the corporate brand needed an update that was descriptive, timeless and corporate. This apple farm in northern California has been producing high quality, organic apple products for their local market since 1922. This latest label redesign initiative was sparked by the opportunity to be picked up by a distributor in France for international retail sales. The composition of illustration and type is so well integrated that one could not exist without the other in this identity. It speaks across borders to the professionalism and credibility of this small farm company. The labels allow for the product to be the star of the show and the branding to elegantly lay over it. The stamp with the farm location is a subtle touch that calls out the heritage and homemade nature of the product. 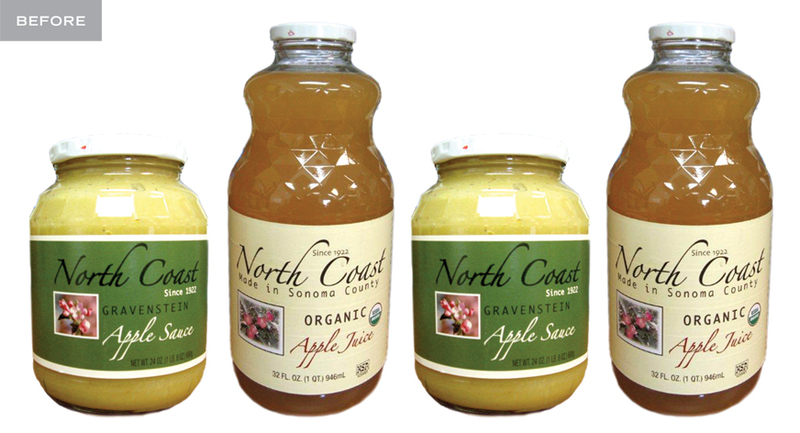 The North Coast brand easily evolved across the variety of product in the portfolio. As long as the jars and bottles were transparent, the label was easily resized and edited for the product purpose without losing the brand equity and elegance that was originally intended. 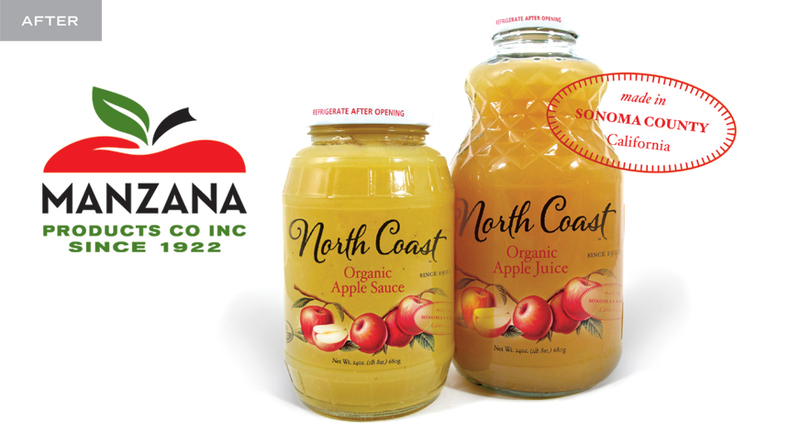 The North Coast brand of products communicates in every language and the Manzana brand is quickly becoming synonymous with quality organic apple products amongst its buyers. It has not been in the market long, but it is now being shopped world wide with great success. Package design doesn’t always mean wrapping up product with loud graphics. Sometimes it means letting the product inside sell itself. Great package designers knows when to use what approach.